Have Scientists Finally Revealed How Egyptian Pyramids Were Built? The Great Pyramids of Giza in Egypt, which are among the Seven Wonders of the Ancient World, attract millions of tourists every year. Scientists, for their part, remain at odds over how the Egyptians were able to transport the 2.5-ton blocks over 800 kilometers from Aswan in southern Egypt to Giza in the north over 4,600 years ago. The remains of a 4,500-year-old ramp system have been discovered in an ancient quarry in Eastern Desert, in what scientists said may give a clue on how Egyptian Pyramids were built thousands of years ago, according to Live Science. The ramp was unearthed at the Egyptian site of Hatnub by researchers from the French Institute for Oriental Archaeology in Cairo and the University of Liverpool in England. The scientists suggested that the ramp was specifically designed to drag 2.5-ton stone blocks up a slope with the help of sleds and rope. 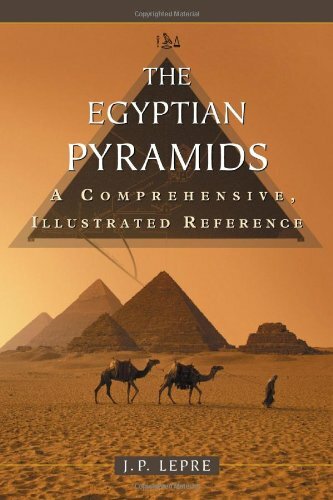 The Egyptian Pyramids:... J. P. Lepre Best Price: $40.37 Buy New $29.92 (as of 11:05 EDT - Details) Yannis Gourdon, co-director of the joint mission at Hatnub, told Live Science that the system is “composed of a central ramp flanked by two staircases with numerous post holes,” to which ropes were likely tied to drag the huge alabaster stones. “Using a sled which carried a stone block and was attached with ropes to these wooden posts, ancient Egyptians were able to pull up the alabaster blocks out of the quarry on very steep slopes of 20 percent or more,” he explained. Last year, the Daily Mail reported on the discovery of an ancient papyrus which claimed that the transportation of the heavy blocks for the Pyramids was carried out with the help of special boats and special-purpose channels and canals. The great Pyramids of Giza are among the most famous and oldest man-made structures in the world. Located about 15 km outside Cairo, the complex is over 4,500 years old, and consists of three Great Pyramids, as well as a sculpture known as the Great Sphinx and several crypts.